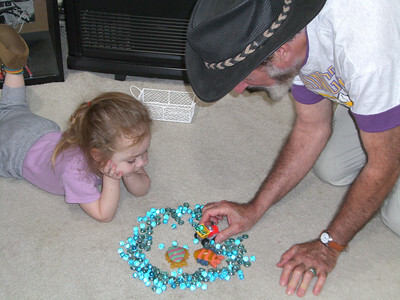 Kimber and Papa Ben playing with trucks and marbles. 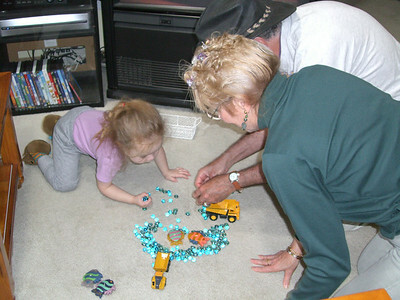 Kimber, Grandmama and Papa Ben playing with trucks and marbles. 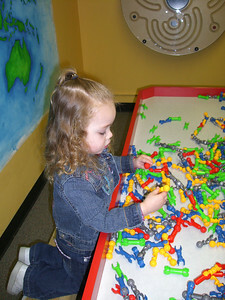 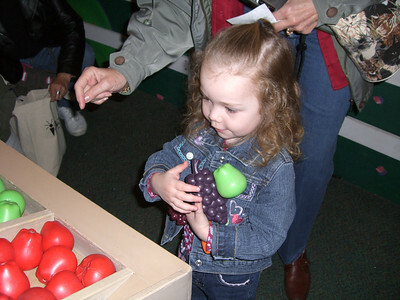 Checking out the funky toys - at the Everett Children's Museum. 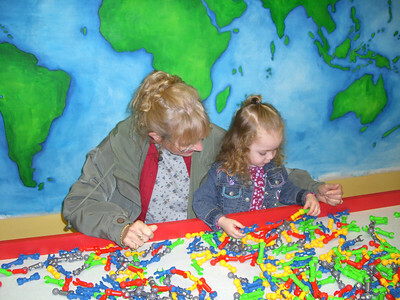 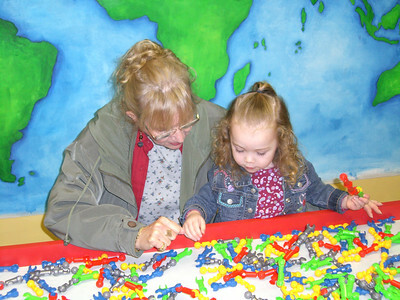 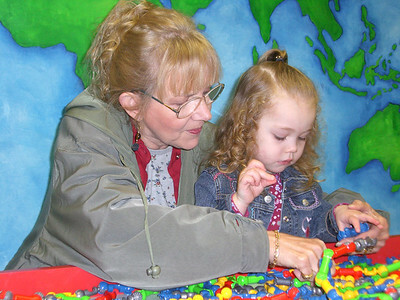 Grandmama helping Kimber put something together - at the Everett Children's Museum. 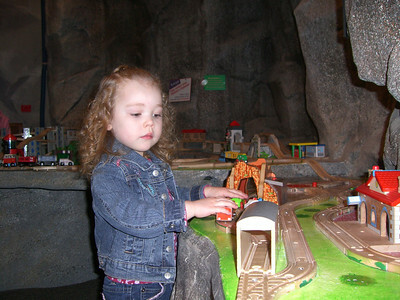 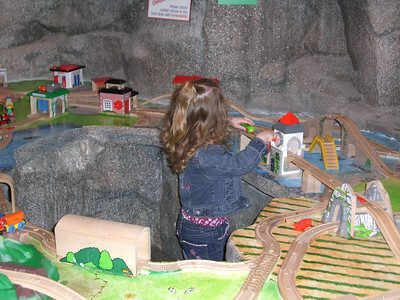 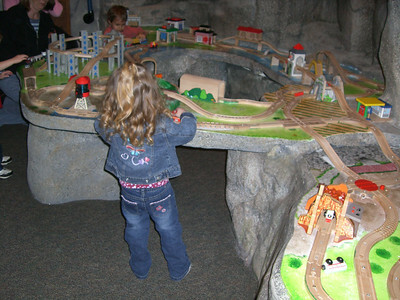 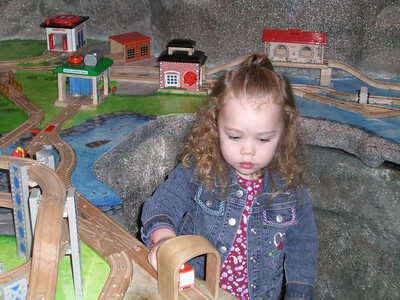 Playing with the wooden train/car tracks - at the Everett Children's Museum. 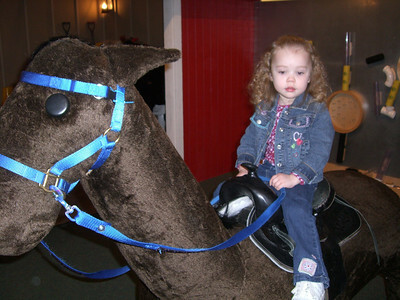 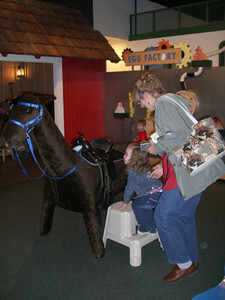 Riding the horse - at the Everett Children's Museum. 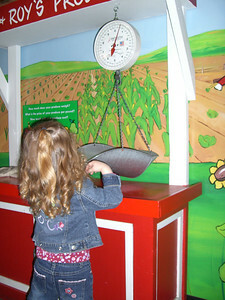 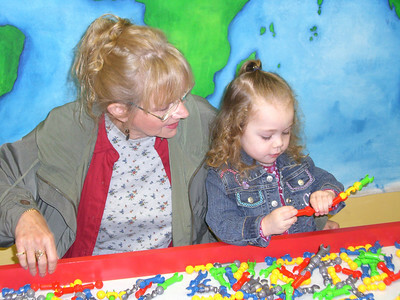 Weighing and sorting fruits and vegetables with Grandmama - at the Everett Children's Museum.